Bushnell Neo Ghost Ryder Cup edition: no-frills bargain golf GPS. 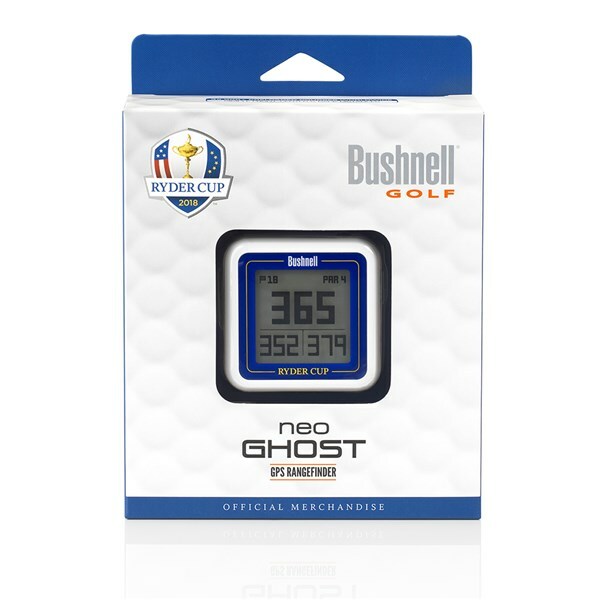 The Bushnell Neo Ghost Ryder Cup golf GPS strips away all the bells and whistles that often come with such devices, leaving the bare bones - which many will see as sufficient. A small device which can easily go in the pocket, on the belt or clip onto the bag. It is thin and light, but seems reassuringly durable. Now available in the Ryder Cup editiom, you can stamp your colours to the mast. Allez Europe! 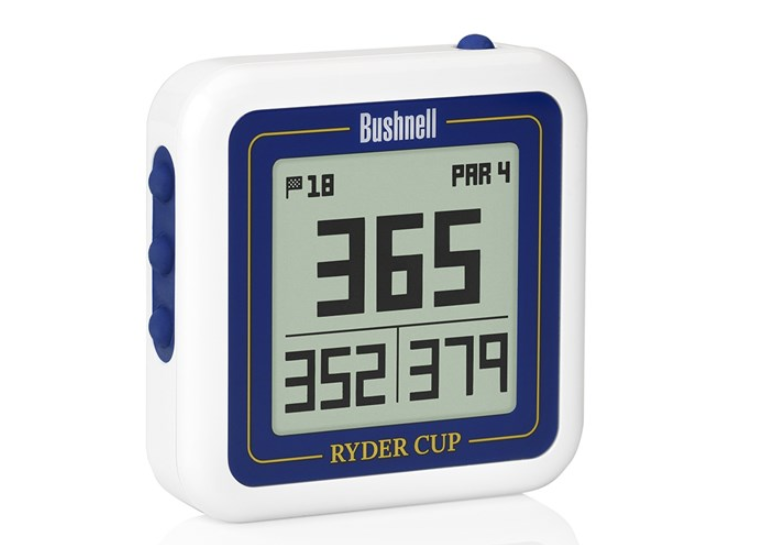 Preloaded with over 35,000 courses, this product makes the most of Bushnell’s best in class yardages. When it comes to accuracy, there aren’t many companies that do it better. The Neo Ghost will supply golfers with front, middle and back distances, and also provide hazard yardages. Players can also see how far they have hit their last shot in a couple clicks. The entire interface is stripped down and simple to use. It is charged via a USB, and lasts for up to three hours. The device comes with a clip, although we would suggest either putting it in your pocket or belt rather than putting it on the bag, as it can easily be knocked off. Perfect for the player that is looking just for the essentials in their GPS - and an affordable price! The Ryder Cup styling is an added touch. The nuts and bolts - basically providing yardages - is offered in an easily digestible fashion, and importantly it’s accurate. Purchase the product from the Ryder Cup shop.